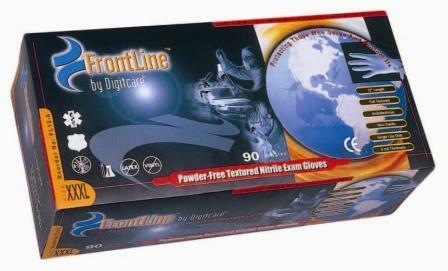 FrontLine powder-free textured nitrile exam gloves are available in 9" and 12" lengths. These gloves are suitable for high-risk and patient care environments. FrontLine was developed for use with with alderhydes and offers substantial puncture resistance and is free of latex proteins. Ideal for healthcare professionals who are sensitive to latex.